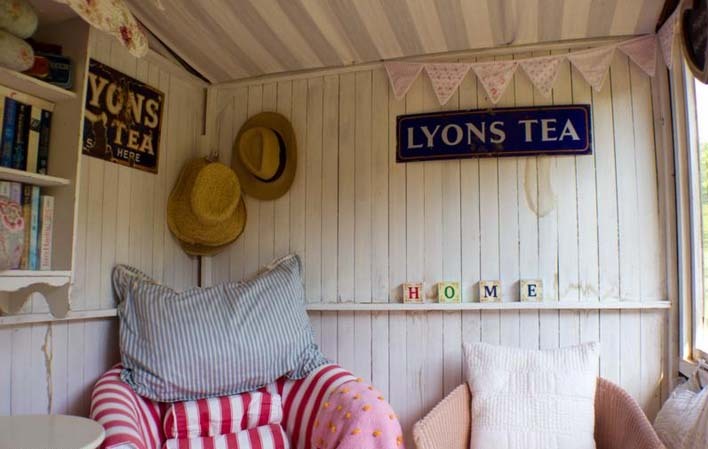 Be gone with the beloved man cave and welcome a place of serenity and relaxation for women: The she-shed. Get inspired with decor tips and more. Men have always had their caves. You know, dens of dark leather and televisions. But these days they aren’t the only ones entitled to a retreat. Enter the She-anctuary: the uniquely feminine way to escape the demands of family, work and the world in general. Where the man cave took the musty garage and made it something more, the She-anctuary turns the backyard shed into a tranquil place of relaxation. 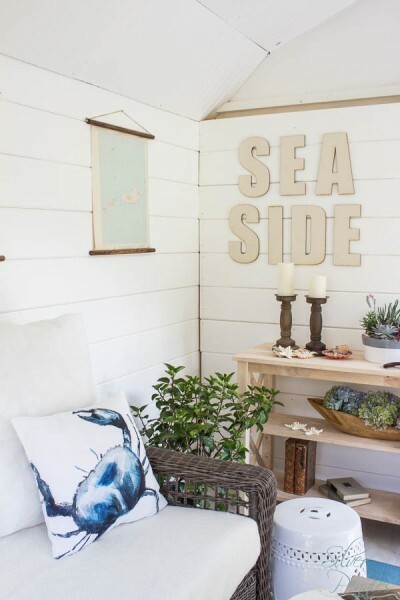 Far from being a few chairs thrown in the backyard storage shack, these spaces take landscaping into consideration as well as the latest design trends. And if you think they’re only for those with a green thumb, you’d be wrong. 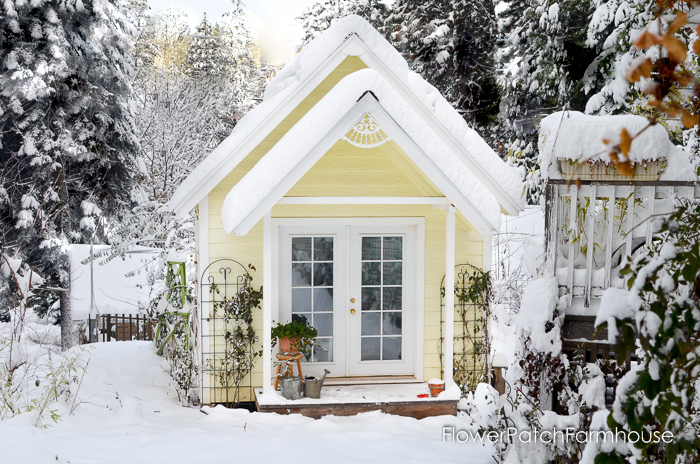 Because if it’s tiny and has a few walls, it’s all you need to create your own stunning retreat. 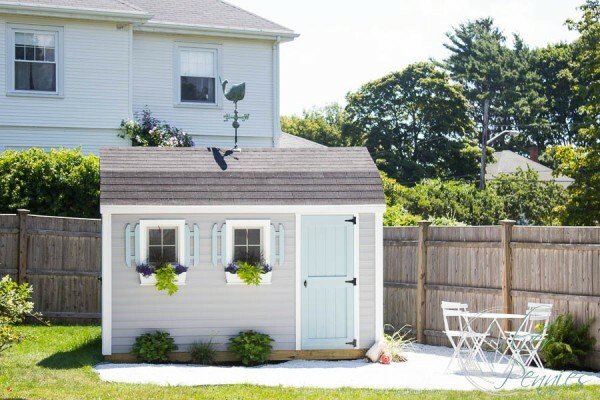 From simple additions to stunning makeovers, women are bringing inspiration from everywhere into their backyards. 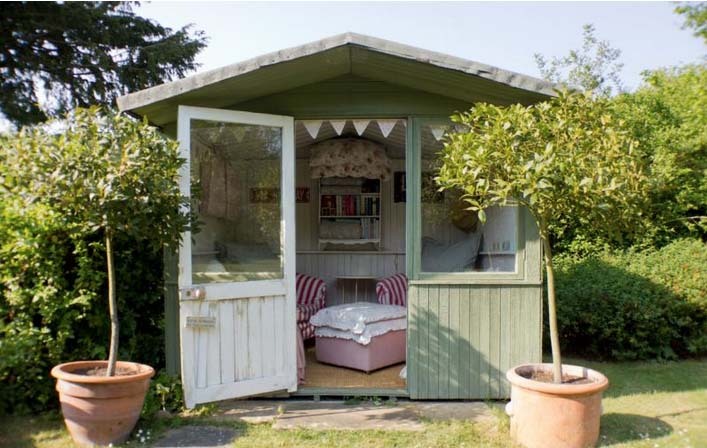 Below we’ve picked out some of our favorite examples of the burgeoning She-shed movement. 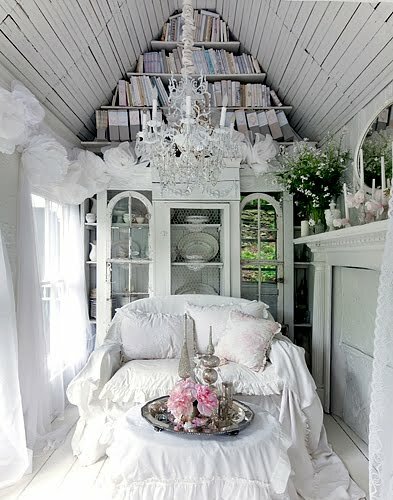 Add antique chandeliers, a chaise lounge and a few sunbeams peaking through the leaded glass and you’ll be in the perfect place to take in a few chapters of Pride and Prejudice. Find yourself lost in the French countryside when you pair your favorite wine with some carefully selected European accessories and a Fall sunset. Make the backyard into a private seaside bungalow, where you can while away the hours with your favorite cocktail as you enjoy a warm summer breeze. And when it’s time to work on the tan, well, there’s plenty of room on the lawn. 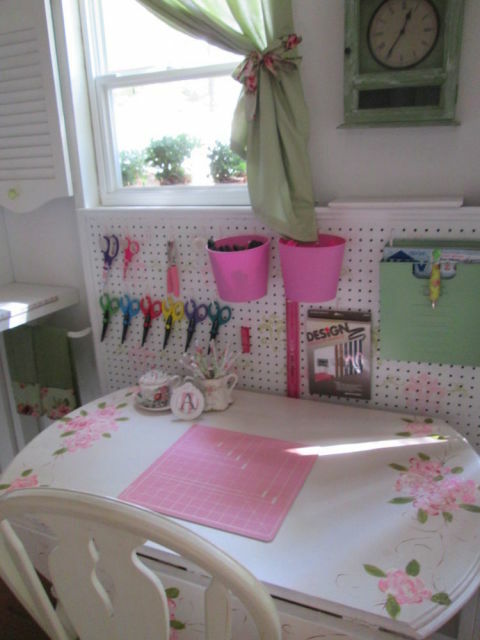 Instead of making a mess on the dining room table, this woman converted her shed into the ultimate crafting room. With natural light and the hooks and nooks for every crafting tool, this is a space that provides creative inspiration and utility. 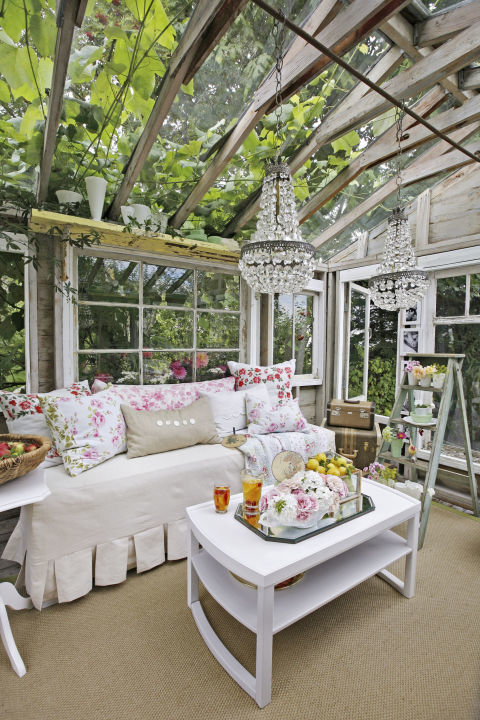 Find your bliss just beyond the patio in an eastern inspired den. With lantern style paper lamps, artful rock landscaping and some colorful fabric accents, the Far East can now be found in any neighborhood. These are just a few of the many small spaces women across the country are creating for themselves. The men can have their caves because for today’s woman, great design, outdoor spaces and freedom from life’s stresses are no farther than the unused sheds in the backyard.